A 15th anniversary reissue of the hilarious and strange cat book we put out in 1999 that has garnered a cult following among its fans. 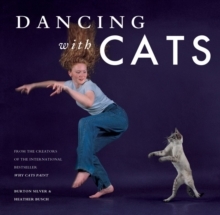 The cat humour market has exploded since this book first came out and it's time to bring this title back to a wider audience. Featuring a breakdown of the art of cat dancing through ridiculous photos and text, this edition is presented in a smaller, hardcover format with a new cover. Don't worry, though the book is presented in its original, unique glory. This reissue is in response to feedback from a variety of accounts and sales reps that the book is much loved and remains in demand despite being out of print.